72 and Still Getting it Done! 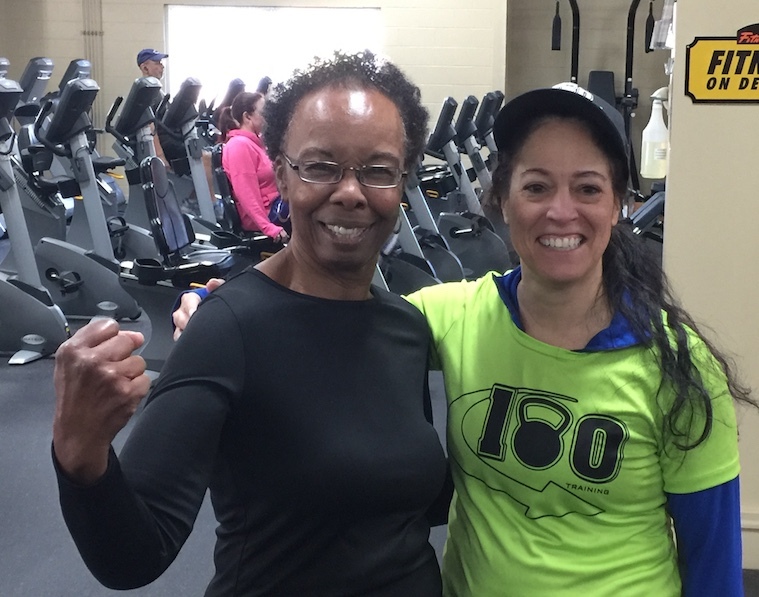 180 Training client Rosemary Brittain posted a short testimonial on 180 Training FB page a couple weeks back. Since it was a “visitor’s post” many people didn’t see it so reposting it along with a picture of Rose and me, Jessie Lynne Beardsell, after wrapping up the first round of personal training sessions. Watch out for Rose because her accomplishments are and will be continuing. For instance, she RAN the 5K mentioned in her post above. Much appreciation for Rose’s drive and inspiration to myself and so many others. It’s quite common to hear my clients say . . .
what Rose has accomplished at age 72.
http://www.fit50andfab.com/wp-content/uploads/2015/10/50Logo4.png 0 0 Jessie Beard http://www.fit50andfab.com/wp-content/uploads/2015/10/50Logo4.png Jessie Beard2019-03-24 17:15:502019-03-24 17:15:5272 and Still Getting it Done! Food & Workout - Who could ask for anything more. PAIN vs. SORENESS . . . What to Do? What to Do.